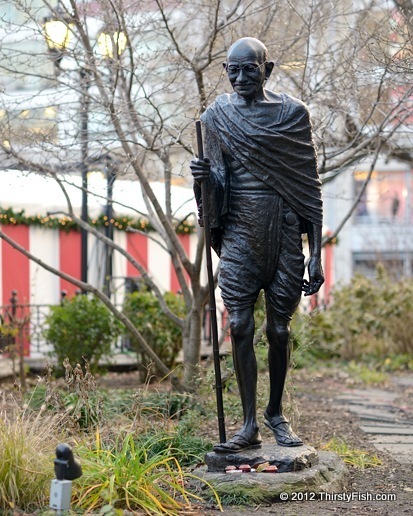 Mohandas Karamchand Gandhi was the key figure of the Indian independence movement. He is known as the father of nonviolent form of civil disobedience. Gandhi fought against poverty and untouchability, and for women's rights, economic self-reliance and independence from British imperialism. He influenced many civil rights leaders including Martin Luther King, Nelson Mandela, the Dalai Lama, and continues to influence nonviolent activist all over the world. How is nonviolent activism supposed to work? I recently read an interesting book titled Seeds of Destruction by a Trappist monk, Thomas Merton. In it, he describes a situation in Birmingham, Alabama during the nonviolent Civil Rights Protests where a number of African American children were jailed simply for singing hymns. The innocent children continued to sing their songs in jail, which frightened their captors: "The truth is that they had very good reason to fear. The action of the children was aimed at them, and aimed directly at them. It was an attack not upon their property, their jobs, their social status, but upon their inmost conscience. And unless that attack could be met and deflected, these people would not be able to continue as they were".